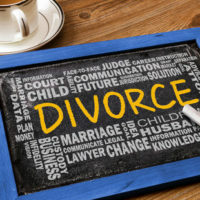 Negotiating the terms of a divorce is a delicate balance, and it is hard to anticipate all the changes that will occur in the future which alter the needs of a child. Child support is meant to cover a variety of costs, but orthodontics is one of those expenses that is hard to predict when a child is young. This very expensive and extensive dental work is an issue that is hard to financially absorb, and may not have entered the parents’ minds when hashing out the terms of divorce if the child was young. When this cost does arise, the parent primarily responsible for the child’s care will understandably be concerned about how to add this treatment to the already high costs of raising a child. Even assuming child support is paid regularly and can be depended upon, orthodontic work rarely fits into the amount provided, which raises the question of what child support is intended to cover, and how to factor in extraordinary expenses related to braces and other orthodontic work a child may need. An exploration of this question will follow below. Before moving to the specifics of apportioning parental financial responsibility for orthodontic work, it is helpful to first review what child support typically covers. At its most basic, child support is intended to provide for the necessities of the child’s life: food, shelter, and clothing. Beyond these needs, child support is also typically earmarked to cover medical expenses, education, childcare, uninsured or extraordinary medical expenses (which braces would be considered), extracurricular activities, and transportation. What each individual child needs will vary by family, but these expenses are common among parents who share custody (necessities, health insurance, and childcare being mandatory in most situations). Parents are permitted to negotiate child support, though any agreement must comply with State guidelines, but anticipating all the changes a child may experience is hard to do at the frontend. Braces would naturally fall under medical expenses, toward which each parent is expected to contribute, but the issue of braces specifically is not as cut and dry as an ER visit for a broken arm, or surgery for appendicitis. Generally speaking, both parents are expected to cover uninsured medical and dental expenses in proportion to their gross income. However, the costs must be reasonable and necessary, i.e., not for cosmetic or elective purposes. Given that braces are typically worn for two years, and can cost between $3,000 to $7,000, divorcing parents should include terms in any marital settlement agreement to address this possibility in advance. This negotiation should include consideration of who would have authority to agree to orthodontic work, and whether the parent paying for the work would need to agree. Note that while the courts have not addressed this issue often, orthodontia is included under “other provisions” for child support payments in approved family law forms, rather than as uninsured medical/dental expenses. This would seem to indicate standard provisions related to responsibility for uninsured expenses in parenting plans would not encompass braces, leaving the primary parent in a difficult financial position if the other parent protested contributing. Thus, this expense should be specifically incorporated into the child support agreement, as courts may not impose this expense on a parent listed as only responsible for medical and dental costs. Raising a child takes both a financial and time commitment that all parents undertake. If you have questions about the financial aspect of raising a child following divorce, talk to the experienced attorneys at the office of Joyce A. Julian, P.A. We know the strains child-related expenses can put on a parent, and will work to get you the appropriate outcome. Contact the Fort Lauderdale law firm for a free consultation.